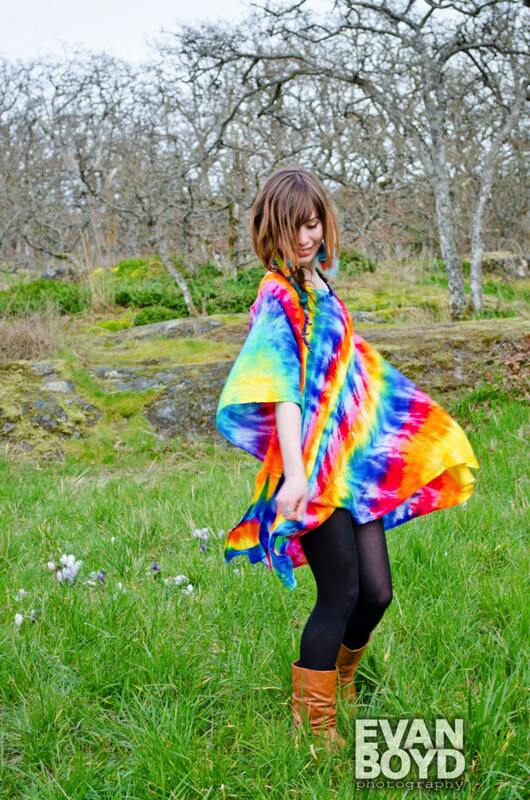 The perfect festival poncho or beach coverup! Made from 100% rayon. This light fabric has a gorgeous drape and feels like it floats on air. Hand dyed in vibrant rainbow colors. 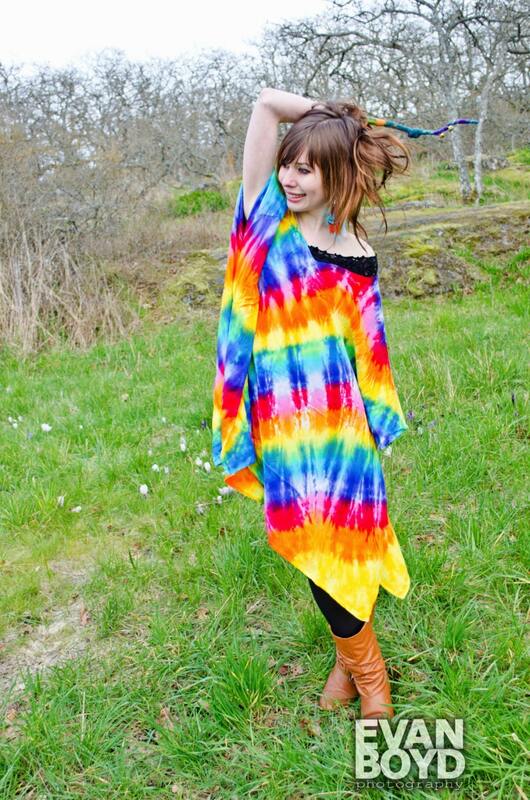 "One Size Regular" poncho will fit women's sizes Small through Large (width =40" length= 32"). 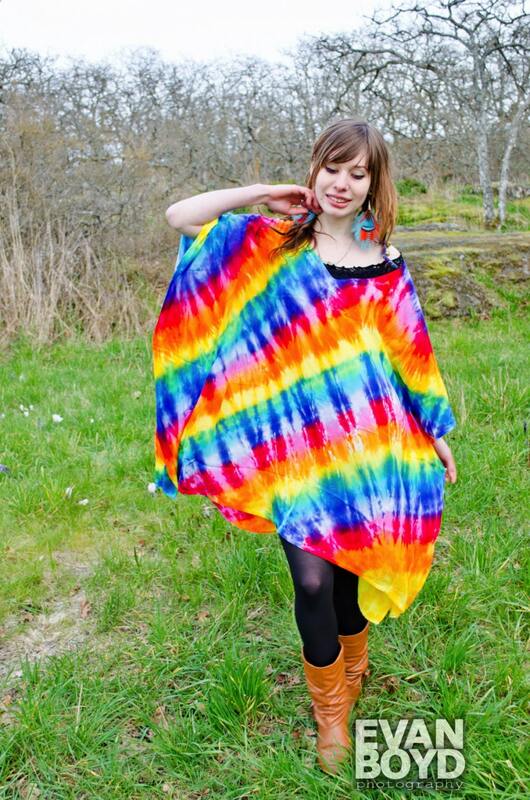 "One Size Plus" poncho will fit women's sizes XL- approx 3XL (width =45" length= 34"). Comfortable and cute. Would buy from this seller again. This worked perfectly as I am 31 weeks pregnant.